In the third installment of this series, we will jump head first into the most powerful advanced features YouTube offers to online marketers. Whether you are building your channel’s viewership, or whether you already have thousands of subscribers, there is something here for you. 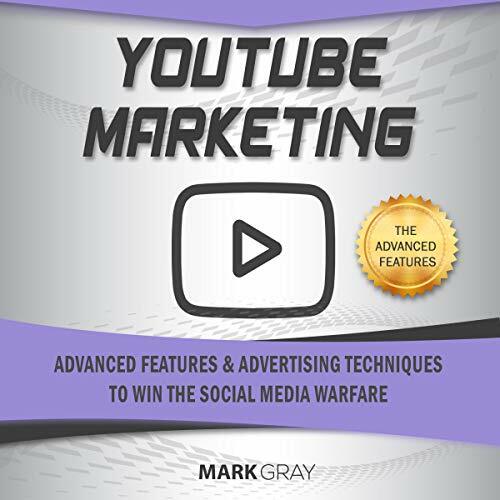 In this manual, we will be taking the lessons that we covered in the first two installments so that we can build an incredible and fully integrated online marketing strategy that will revolve around your YouTube content. In this integrated strategy, you will be able to share your content across various social media platforms without duplicating content or running the risk of driving away your followers and subscribers. Best of all, you will be able to use these tactics to generate “free” advertising. That’s right! You can use these advanced features to generate free advertising. Let’s get started on how you can turbocharge your channel’s growth by capitalizing on the advanced features that YouTube has to offer. Now is your chance to uncover these features and see how YouTube can help your brand grow to unprecedented heights. You can make the most of this opportunity to make your advertising count. The time has come to face your competition on the social media battlefield. With these strategies, you will be ready to emerge victoriously! We will go over how you can utilize the Three Pillars of your brand’s identity in addition to the development of user stories in the creation and development of killer content and engagement. Learn YouTube the smart way, get your copy today!